Citrofortunella microcarpa, commonly known as calamondin or orange calamondin, is actually a small, bushy, evergreen tree or shrub belongs to the Rutaceae (Rue family). The plant is said to have originated from China or Philippines and has spread out through South East Asia, India, Hawaii, West Indies, Central and North America where it was acquired the name “acid orange” as it resembles an orange. The plant is believed to be a natural hybrid between a sour, loose-skinned mandarin, probably Citrus reticulata var. Austera, and a kumquat, perhaps Fortunella margarita. The “X” preceding the genus name indicates that this hybrid is between plants of different genuses (bi-generic hybrid). 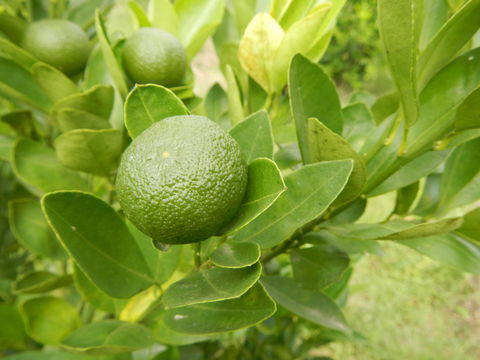 Some of the popular common names of the plant are Calamandarin, Calamansi, Calamondin Orange, China Orange, Chinese Orange, Golden Lime, Musk Lime, Philippine Lime, Panama Orange, Scarlet Lime, Limau Kesturi, Limau Chuit, hazara, kalamunding, ma nao wan, szu kai kat and calamonding. Genus Citrus refers to the lemon-scented fragrance from the plant. Species microcarpa means small-fruited. 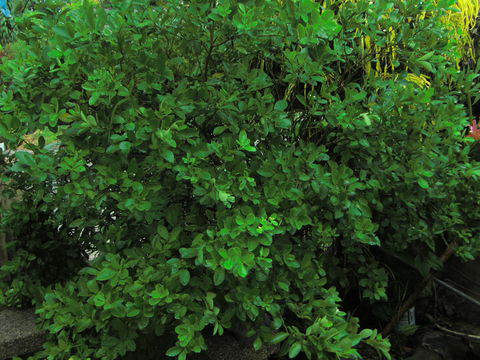 The plant is particularly valued for its acidic juice, and is also grown as an ornamental. This fruit is available throughout the year in Philippines and is mostly found in its unripen green state. The plant adds artistic value when planted as it is planted as a hedge or patio plant more other than because of the edible fruit. 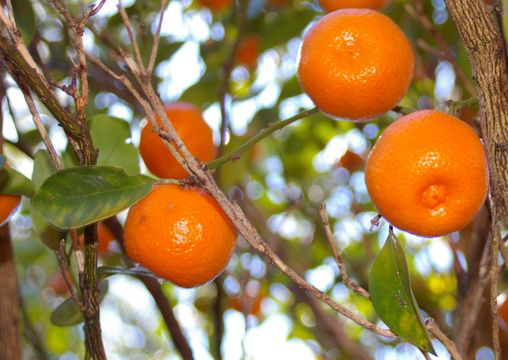 Calamondin is a medium sized evergreen shrub or small tree that grows about 6 1/2 to 25 ft. (2-7.5 m) tall. The plant is adapted to warm climates but it can also grow in cool, frost-free areas. It is also adaptable to areas with long dry periods provided irrigation is available. This fruit thrives well in cold climates unlike other citrus fruits. It thrives well when planted in containers or tub as a flower. This fruit is also draught resistant than other citrus species do. However, for it to grow well and bear fruits, it requires bright light with slow release fertilizer added to it especially at the beginning of spring as that is its season to produce. The plant is adaptable to a wide range of soils from clay loams to calcareous soils to sandy soils. It does best in well-drained, sandy loams or clay loams rich in organic matter. It is moderately drought-tolerant and intolerant of strong winds. The plant has deep tap root and sparsely spiny stem. Branchlets are strongly angled and glabrous. Evergreen leaves (technically single leaflets) are alternate, aromatic, broad-oval, dark-green, glossy on the upper surface, yellowish-green beneath, 1 1/2 to 3 in (4-7.5 cm) long, faintly toothed at the apex, with short, narrowly-winged petiole that is 8–12 mm long, very narrowly winged, 1–2 mm wide. Flowers are axillary or terminal, usually solitary, sometimes 2–3 flowered, bisexual, fragrant. Rachis is 5 mm long, glabrous. Pedicels are 6–8 mm long and glabrous. Calyx is 1 mm long, deeply 5-lobed. Lobes are acute, minutely pubescent. Petals are 5, elliptic-oblong, pure-white c. 12 mm long. Filament is 7 mm long, anthers ellipsoidal, c. 1 mm long. Style is 3 mm long. Flowers are followed globose or oblate, juicy, golf-ball sized orange fruit, 2–4.5 cm diameter, rind thin dotted with numerous small oil glands,) which is edible but the pulp and juice are very acidic (sour). The peel is sweet. Fruits are initially green turning to yellow, orange yellow or deep orange as they mature. Fruit skin is thin, spongy and smooth which surrounds fleshy orange pulp. Each fruit contains 6-9 fleshy segments. Seeds are large, smooth 1–5 small, obovoid, green within and polyembryonic. Fruit remains on the plant for a long time (takes up to one year for fruit to ripen to orange). 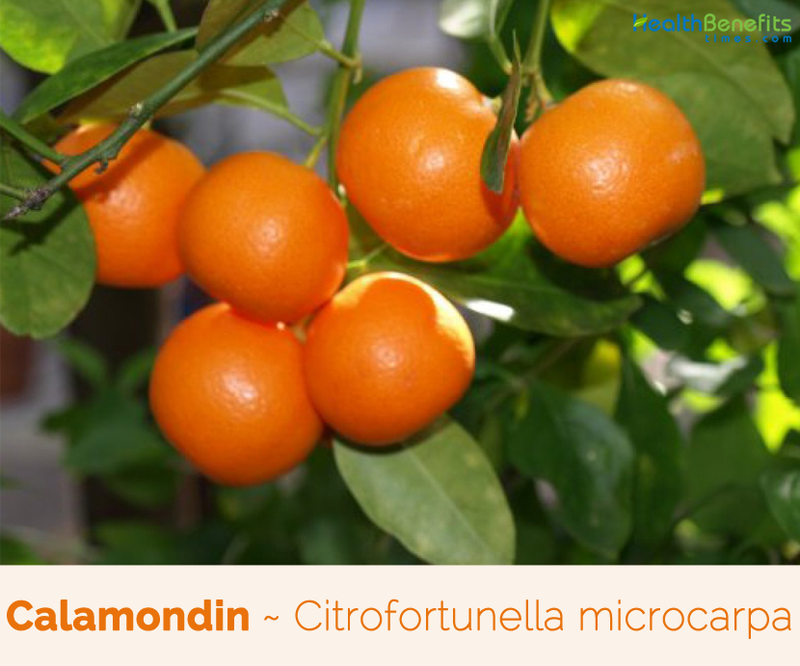 Calamondin originated in China as a natural hybrid, however, the exact hybrid nature of remains to be established. It is believed to have been introduced in early times to Indonesia and the Philippines where it became the most important Citrus juice source in the Philippine Islands. Today, it is widely grown in India and throughout southern Asia and Southeast Asia especially in Malaysia. It is a common ornamental dooryard tree in Hawaii, the Bahamas, some islands of the West Indies, and parts of Central America. This particular tropical juice is well-known for its impact on weight loss, as it has the ability to not only boost the metabolism but also remove many of the toxins in the body that can contribute to fat storage. By increasing metabolic speed, this juice can improve passive fat-burning throughout the day, while detoxifying the body will help all of your organ systems run more smoothly and function properly, aiding in calorie burning. By reducing fat storage, you will have more usable energy and less adipose fat formation. Many people drink a glass of calamansi juice every morning to stimulate the body and achieve weight-loss goals. You can use calamansi juice as a mouthwash. Vitamin C from this juice helps prevent tooth decay, bleeding gums, gingivitis, or loosening of teeth. It helps remove stains and plaque. How to Use Calamansi in Skincare? Rub the fruit halves all over your body focusing on comparatively darker parts like elbows and knees. If you have dark spots or older scars, you should scrub the juice on those sections too. Take a shower or wash off with lukewarm water after half an hour. Squeeze out the fresh juice of Calamansi and a dip a small cotton ball into it. Now, apply it on the dark spots of your face, wait for 10 minutes and then rinse off with lukewarm water. Add 1 teaspoon of Calamansi juice to 2 tablespoons of milk and apply this mixture all over your face and body. Wash off after 5 to 10 minutes with lukewarm water. 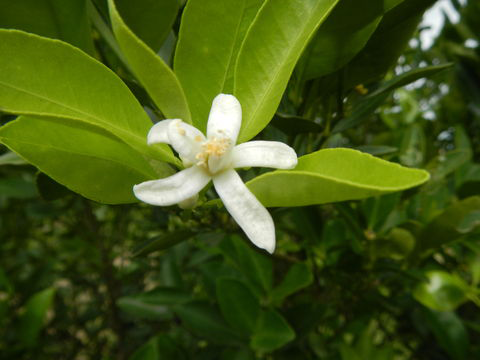 However, the acidic nature of Calamansi may cause stinging or burning sensation if used daily on the skin. So, practice this twice or thrice a week and you will get your desired results easily. Calamondin fruits may be crushed with the saponaceous bark of Entada Phaseoloides for shampooing the hair, or the fruit juice applied to the scalp after shampooing. It eliminates itching and promotes hair growth. Rubbing calamondin juice on insect bites banishes the itching and irritation. It bleaches freckles and helps to clear up acne vulgaris and pruritus vulvae. Calamondin juice is considered as a refrigerant (being a rich source of Vitamin C) and is taken orally as a cough remedy and anti-phlogistic. Combined with pepper, it is prescribed in Peninsular Malaysia to expel phlegm. Fruit juice also serves as a body deodorant. Root enters into a treatment given at childbirth in Philippines. Distilled oil of the leaves serves as a carminative with more potency than peppermint oil. It is also used in shampoos, bath lotion and skin cleanser cosmetics. Juice is used to treat skin irritations, as a cough remedy, an anti-phlogistic, laxative and, when combined with pepper, it is prescribed to expel phlegm. Roots are used for a traditional treatment at childbirth. Distilled oil of the leaves is used to cure flatulence. Calamansi can help aid sore throats. You just mix one Calamansi with warm water, a pinch of salt and gargle. It is mixed with pepper to expel phlegm in Malaya. Calamondin can be eaten fresh but it usually make into juice, drinks, dried and used as preserves, pickles or to flavor food. Fruit is used for marmalade and chutneys, preserved whole in sugar syrup, and used as flavoring in seafood and meat dishes. It is frequently used to impart acidity to noodles like Pad Thai, laksa, grilled fish or smoked fish and in a variety of sambal sauces in Southeast Asia. Calamondin is an ingredient in chutney in Malaysia. Whole fruits, fried in coconut oil with various seasonings, are eaten with curry. Preserved peel is added as flavoring to other fruits stewed or preserved. Calamondin halves or quarters may be served with iced tea, seafood and meats, or noodles to be squeezed for the acid juice. Calamondin fruits can be sliced and boiled with cranberries to make a tart sauce. 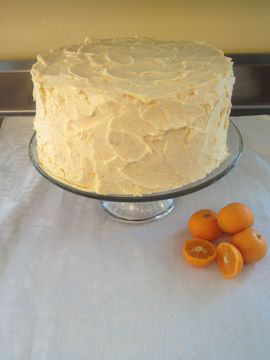 Calamondins are also preserved whole in sugar syrup, or made into sweet pickles, or marmalade. 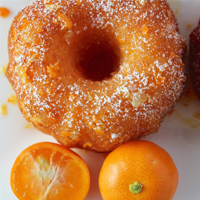 Superior marmalade is made by using equal quantities of calamondins and kumquats. 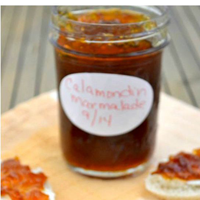 Calamondin- papaya marmalade is popular in Hawaii. Acid fruit juice is processed into bottled concentrate and juice. Juice is primarily valued for making acid beverages. It is often used like lime or lemon juice to make gelatin salads or desserts, custard pie or chiffon pie. In the Philippines, the extracted juice, with the addition of gum tragacanth as an emulsifier, is pasteurized and bottled commercially. Pectin is recovered from the peel as a by-product of juice production. Preserved peel is used as a flavoring in other foods. It is often a key ingredient in preparing ice cream, sorbets, jello, juice, soft drinks, nectar, jelly, gummy candies, sauces, vinaigrettes, fruit preserves and yogurt. 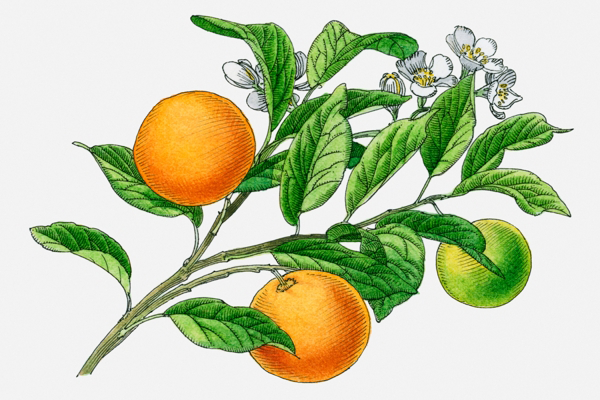 Calamansi becomes the key ingredient of fruit sweet pickles, or marmalade. 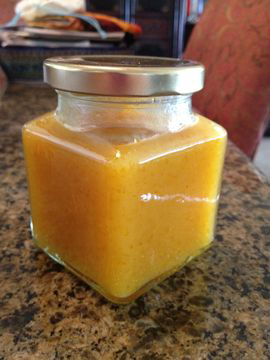 Hawaiians like their calamansi made into marmalade with papaya in it. Malaysians like their Calamansi made into coarsely grounded chutney. Philippines extract the juice and sell it commercially after it has been pasteurized. Not many are aware of the fact that calamansi juice is often used as a replacement lime or lemon juice to make gelatin for preparing salads or desserts, custard pies, or chiffon pies. 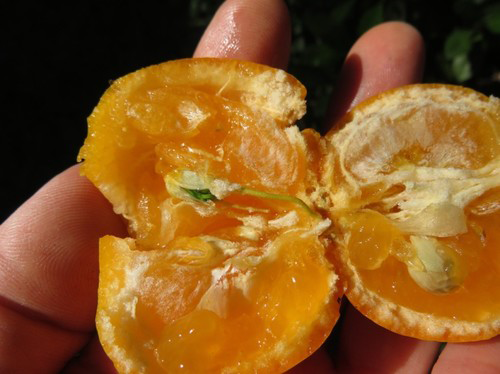 Cut each calamondin orange in half and remove the seeds. Squeeze the juice into a bowl or measuring cup and set aside. Flatten each calamondin half and thinly slice the peel into ribbons. 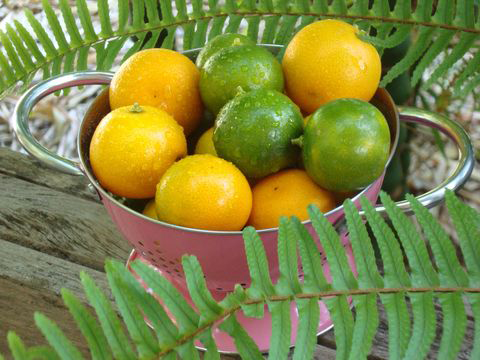 Measure the calamondin peel, water and calamondin juice before pouring into a large jam pot. Measure equal amounts of sugar and add to the pot. Heat on low, stirring occasionally so the sugar doesn’t scorch on the bottom of the pot. Once the sugar has dissolved turn the heat up to medium high and bring to a boil. Place a saucer in the freezer. Check set by dropping a dollop of marmalade on the cold saucer and push the edge with your fingertip. If marmalade wrinkles it has set. Process marmalade in a hot water bath 20 minutes. In a medium bowl, combine the graham cracker crumbs, sugar, coconut and melted butter. Stir until well combined. Pour the crumb mixture into a 9″ tart pan or pie plate and press the crumbs firmly against the bottom and sides of the pan. Set aside. In a large bowl, combine the sweetened condensed milk, egg yolks calamondin juice. Whisk to combine and add the zest. Stir until evenly incorporated. Pour the filling into the pie shell and bake for 15 minutes. Remove the pie from the oven and let cool for 15 minutes, then refrigerate until cold and set. In a small prep bowl, combine the gelatin and water and let rest for 2 minutes to bloom. Place the bowl in the microwave and heat in 5 second bursts until the gelatin has dissolved. Set aside to cool. (It should not be warm when you add it to the cream — this is important). 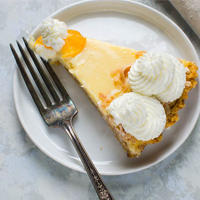 Add the whipping cream to a medium bowl and beat on high speed with a hand mixer for one to two minutes or until the cream starts to look airier and fluffy. Add the confectioners’ sugar one tablespoon at a time, beating after each addition. Only beat the cream to soft peak stage — which means that when you lift the beaters, you can see a peak, but it will bend and fold over on itself. Test the gelatin — it should still be in liquid form, but at room temperature. Add one tablespoon of the cream to the gelatin and stir to temper it. While beating on high speed, in a steady stream, add the gelatin mixture to the cream. Beat until stiff peaks form. Cover and refrigerate until ready to garnish. Fit a piping bag with a star tip or other large decorative tip. Fill the bag with stabilized whipped cream. Sprinkle coconut around the rim. Pipe the whipped cream decoratively over the coconut. You could also pipe the whipped cream first, then sprinkle with coconut — whatever you prefer. Refrigerate until ready to serve. Grease and flour (or use cooking spray) a large bundt pan (10” X 4” X1/2”), OR 2 single rounds, OR 12 mini Bundt pans or muffin tins. 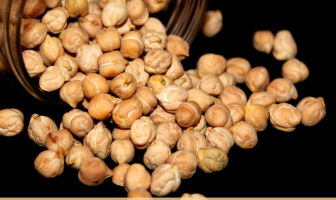 Slice and seed calamondins then place in a food processor and pulse several times until you have a fine puree. Set aside. Combine cake mix and jello in a large bowl. In a separate bowl, combine milk, oil, eggs and lemon juice, and ½ c. of the puree. Whisk to combine then add to dry ingredients and stir well to combine. Pour batter into prepared baking dish(es). Bake for about 40 minutes for large bundt or round pans. If using mini bundt pans or muffin tins, bake for about 20-25 minutes – check regularly to ensure they don’t overcook. Remove when a cake tester comes out clean. Allow to cool slightly while making the glaze. After the cake(s) have cooled but are still slightly warm, remove from the baking dish (es) onto a serving platter. Spoon the glaze over the warm cake(s). Calamondin is also a popular ornamental in many homes in Southeast Asia. Fruit juice is used in the Philippines to bleach ink stains from fabrics and clothes. 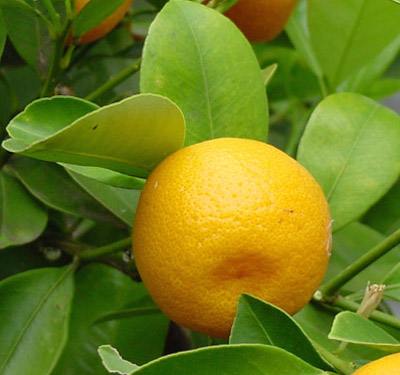 Calamondin is also used as rootstock for lemons and the oval kumquat. Variegated calamondin plants are often grown as ornamental potted plants. Juice is used as a stain remover, body deodorant, and skin bleach and hair shampoo. 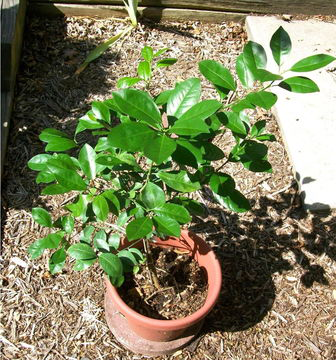 Plant can be used as a rootstock for lemons and the oval kumquat. Juice can be used as a whitening solution and stain remover for your clothes. Trees start fruit production 5-6 years after planting. 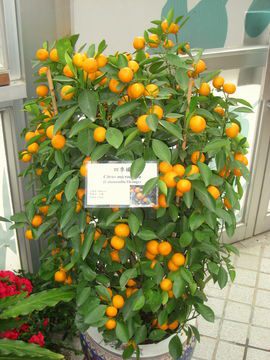 A 3-year old calamondin tree may yield 0.75 kg of fruits. A 6-year old tree may bear up to 5000 fruits with an average yield of 10 kg. It shouldn’t be consumed in excess during pregnancy. Citrus fruits like lemon and calamansi can trigger heartburn during pregnancy. Citrus juices may cause stomach cramps, indigestion, or diarrhea if consumed in excessive amounts. Flower Flowers axillary or terminal, usually solitary, sometimes 2–3 flowered, bisexual, fragrant; rachis 5 mm long, glabrous; pedicels 6–8 mm long, glabrous.